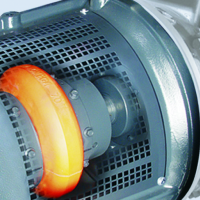 With Kaeser’s one-to-one drive, the airend is directly connected to the motor via a maintenance-free coupling that eliminates transmission losses. 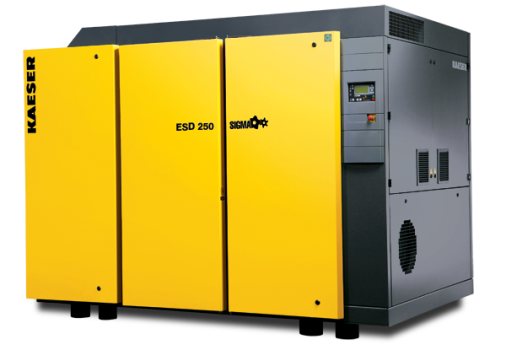 Kaeser’s direct drive screw compressors deliver outstanding performance and increase energy savings. 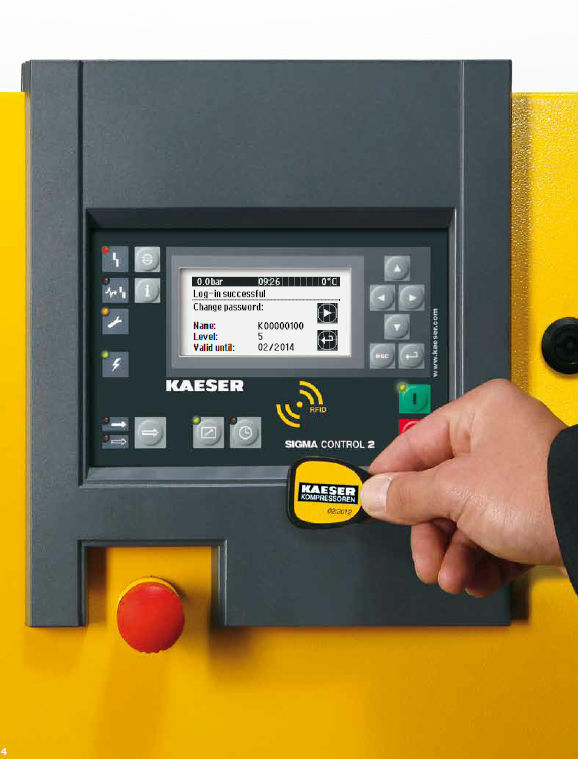 Kaeser uses oversized airends specifically selected to produce the required output in flow and pressure. Compared to compressors using small, high-speed, gear-driven airends, the one-to-one drive provides significant savings. Energy efficiency has been tested and confirmed by an independent laboratory as part of the Compressed Air and Gas Institute’s Rotary Screw Compressor Performance Verification Program. 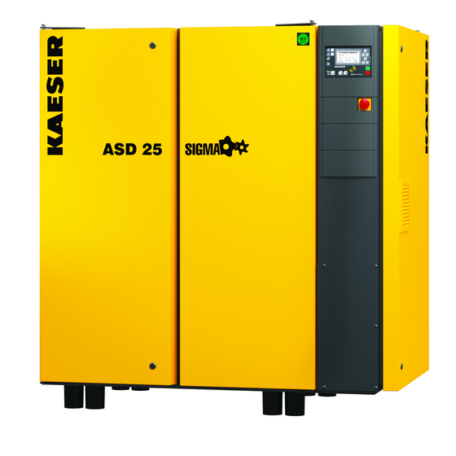 Kaeser compressors are up to 30% more efficient than some competitors’ models. See our CAGI data sheets. Single-stage, flooded rotary screw airends deliver pressures up to 217 psig and feature the power-saving Sigma profile design. Airends are precision-machined and optimized in size and profile to mtach the airend speeds with their best specific performance. 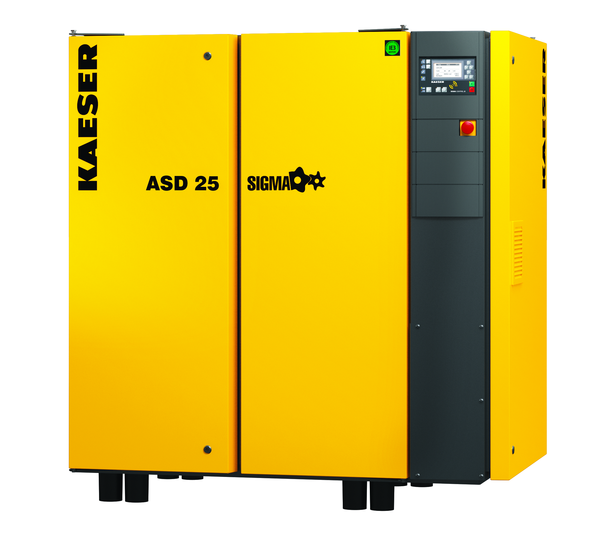 Unlike the competition, Kaeser Compressors makes many different airends so that we can apply them at their optimal speed and performance. 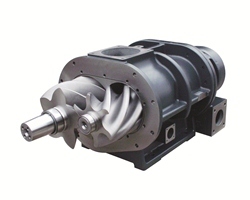 The motor is directly connected to the airend with a one-to-one coupling, providing maximum transmission efficiency. This true direct drive eliminates complex gear drive components, along with heat and power losses. It is also maintenance free, increasing reliabilty and uptime. The compressor control system features an industrial-based PC with update capabilities, Intel® microprocessor, and real-time operating system. Pre-loaded control profiles are available to precisely match compressor performance to air demand. A convenient SD card slot enables easy software upgrades and stores key operational parameters to minimize service costs, provide back-up capability, and offer long-term data storage for trending and analysis purposes. Premium efficiency TEFC motors with class F insulation for extra protection from heat and contaminants. 460 or 575V 3-phase, 60 Hz. Other voltages are available. Two separate cooling air inlet zones for the coolers and drive motor ensure optimum cooling. Drawing ambient air directly across the coolers and motor through separate zones eliminates pre-heating and results in longer lubricant life and a cooler running motor. This also results in much lower approach temperatures, improving moisture separation and air quality.